Once the nine nights of Navratri ends the festival continues with Dussehra. Celebrated on the tenth day, Dussehra represents the victory of good over evil, when Lord Rama defeated Ravana, the demon king in the Ramayana. Traditionally people burn effigies of Ravana in spectacular fashion, but each region puts their own special spin on the festivities. This year Dussehra will be held on October 11th. The town of Barara in the northern state of Haryana holds the record for the tallest Ravana effigy. It was over 210 feet high in 2014 and made of bamboo, cloth and paper. It was brought down in a blaze of glory with fire crackers. In the lead up to Dussehra many enjoy a special play called the Ramleela. 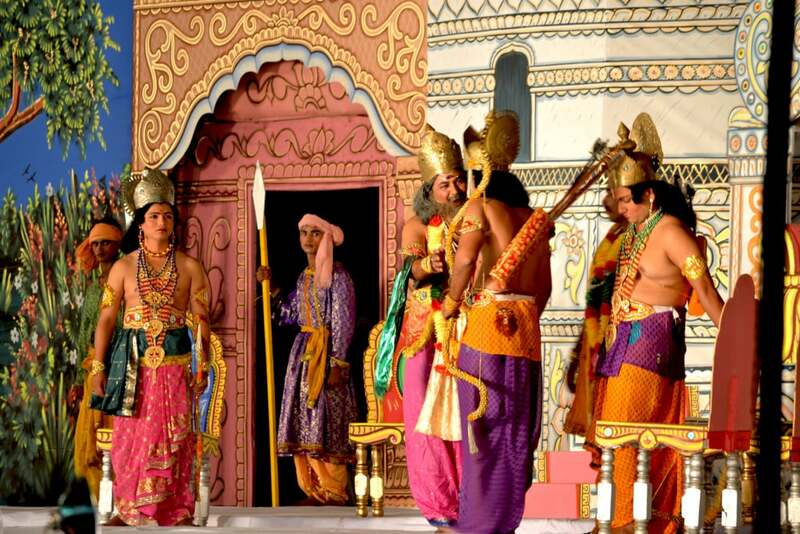 The play tells the story of the life of Lord Rama, and of course includes his dramatic victory over Ravana. Most popular in Delhi and Varanasi, they are fascinating spectacle. If you’re in Delhi watch the concert from the lawns of the Red Fort or one of 1,000 other venues, or visit Varanasi which is home to the oldest Ramleela production in the world. 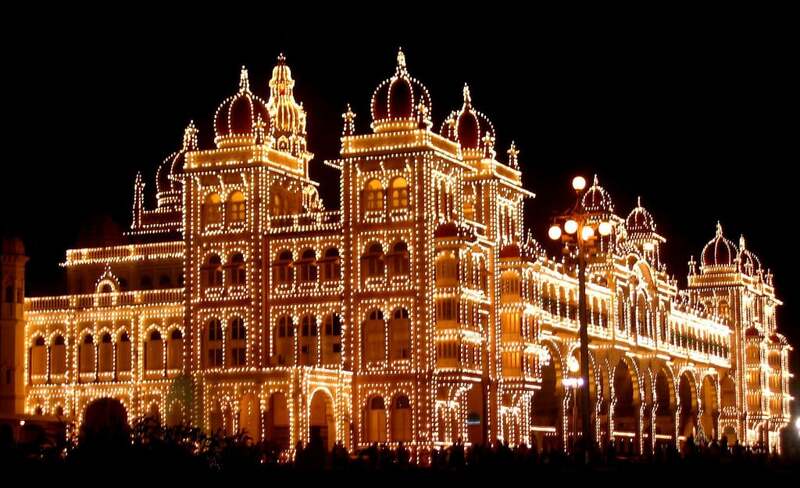 Mysore celebrates Dussehra (or Dasara) in its own inimitable style. Deviating from the script followed in northern India, Dussehra is held in honor of the Goddess Chamundeswari and their victory over the Mahishasura. 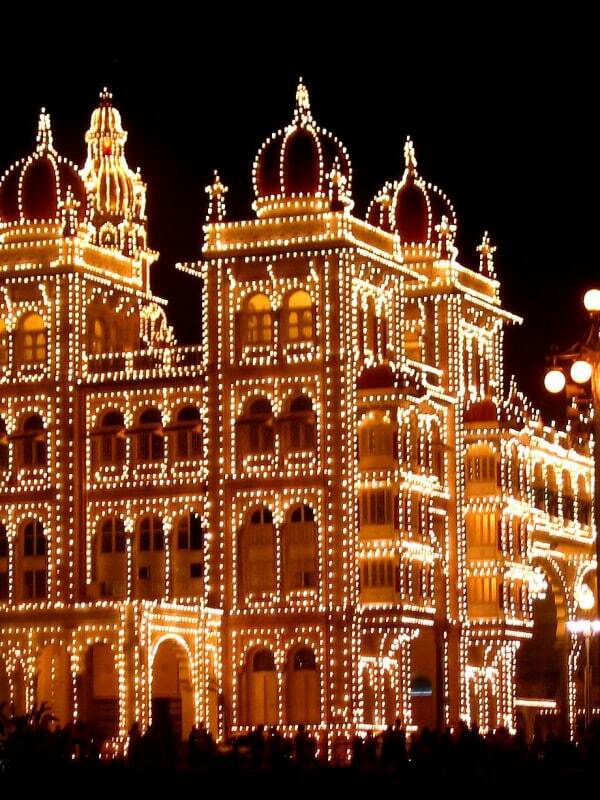 The city palace is lit up with hundreds of thousands of bulbs and for 10 days leading up to Dussehra the city comes alive with performances, and ends with a procession that snakes through the streets. The Rajasthani town of Kota brings in Dussehra with a three day mela (or fair) that has a distinctly regional feel. People come from all over the state to share their artistry, sell their crafts and get involved in folk dancing and performances. Like in other parts of the north, effigies of Ravana are burnt alongside a procession where camels, horses and elephants make their way from the Palace. 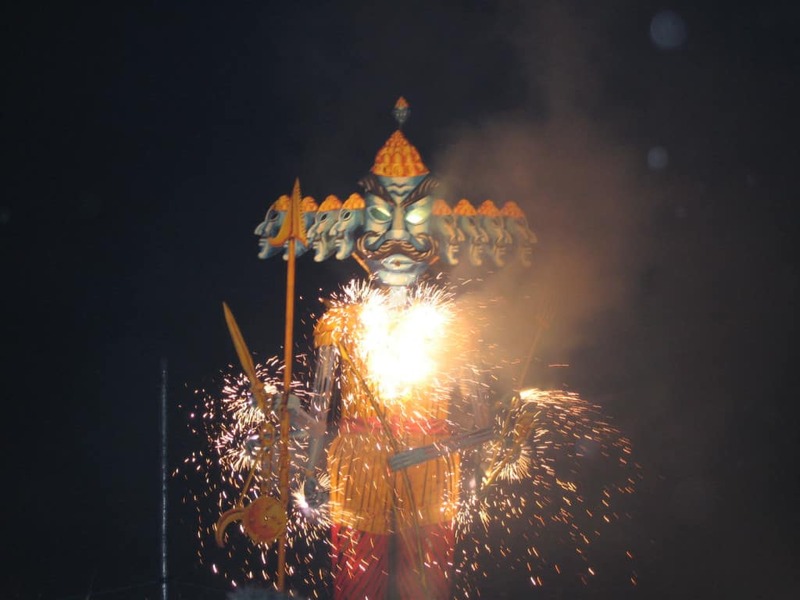 At the foothills of the Himalayas in the twin towns of Manali and Kullu Dussehra there are no effigies of Ravana. Like Mysore, this community celebrates the Goddess Hadimba, who is brought from Manali to Kullu to receive a royal blessing. She is then carried in a process down to the Beas River. It is here that thorn bushes are burned.